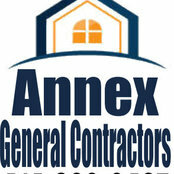 Annex is a family owned and operated company with nearly 30 years in the industry serving the communities of Milwaukee and the Chicago Area. We, too, own investment properties and know what it takes to balance business with a personal touch and we believe you will notice the difference right away. We personally handle every phone call that comes in–night or day, 7 days a week. We show properties ourselves and oversee maintenance requests with urgency. This sets us apart from our competition.